With The Beatles releasing a remastered White album on November 9th (being the 50th anniversary and all), they’ve (well, their label) dropped three new versions of classic track “While My Guitar Gently Weeps”. 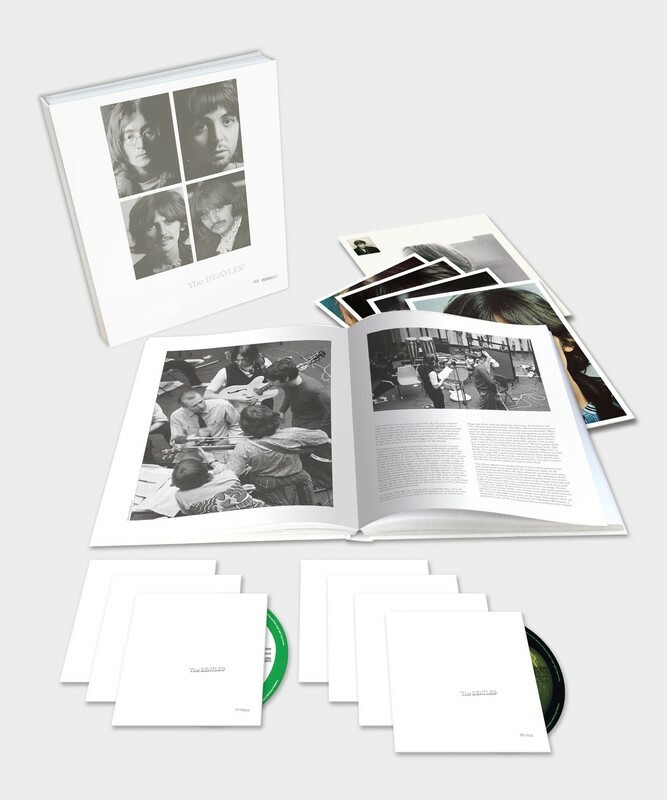 The album is the first time The Beatles (aka ‘White Album’) has been remixed and presented with additional demos and session recordings. The album’s sweeping new edition follows 2017’s universally acclaimed Sgt. Pepper’s Lonely Hearts Club Band Anniversary Edition releases. I’m not even going to try to list every version and the tracklists and bonus contents. There’s something for every pocket and it’s the usual huge array of paperwork, alternate recordings and so on. Stereo, surround sound, 5.1 digital whatever… you name it, you can probably get it! Check out the Esher Demo, acoustic version (take 2) and 2018 mix. Seeing as it’s kind of hard to see The Beatles live these days, the next best thing – and I’m talking from personal experience here – is to go and see The Bootleg Beatles. They’ve got their annual run of theatre dates kicking off soon and in addition have launched something special for 2019 into 2020 (yes, a whole year away). The winter run will include a special White Album section for the anniversary and they’re back towards the end of next year for a handful of orchestral dates to celebrate the 50th anniversaries of both Abbey Road and Let It Be.